When if first installed the new Windows 10, i was quite pleased with the operating system. I liked all the new features and modifications, and grew especially fond of the new mail app. I liked how it was laid out and how clean were my mails, i also liked the notifications, it could send me. The experience was great until the mail app hit its first obstacle. After weeks of proper and use and workflow, my mail app suddenly decided to give up once i hit the Refresh/Replay button, it simply crashed. I tried to fix it, restart my Pc, clean up files, all the shenanigans, none of them worked. The mail app refused to open/ run, which completely destroyed my experience of it. I had to go through three trial and error methods before i found my fix, after a lot and lot of searching. You can go through all the three fixes one by one and see which one works for you. Since the source and cause of this bug is not yet found, there is no sure shot fix for it.You will have to try various different methods And hence you can see for yourself which of the three fixes works for you. 2. Now, Go to Apps. 3. Search Mail and Calendar App from the list. 4. Click on Mail and Calendar App to expand it. 5. Now, Click on Advanced options. 6. 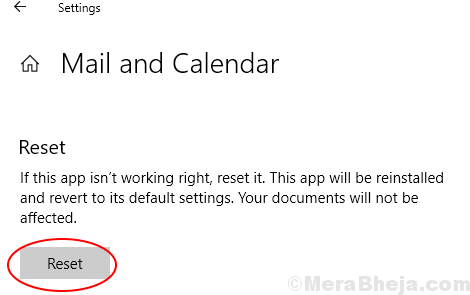 Click on Reset to Reset Mail and Calendar App. 1 – Open Powershell as admin. 2 – Now, type the following command in Powershell to remove mail and calendar app from your System. 3 – Now, open windows store and install mail app again on your PC. This will fix all your Mail related problems on Windows 10 PC. If the troubleshooter does not work,you can try Method 2. But there is no direct way to reregister in the mail app. Hence you can use a workaround, that will cause you to reregister all built in apps using a command in PowerShell. Note: Make sure you have closed the Mail app before following the below listed steps. 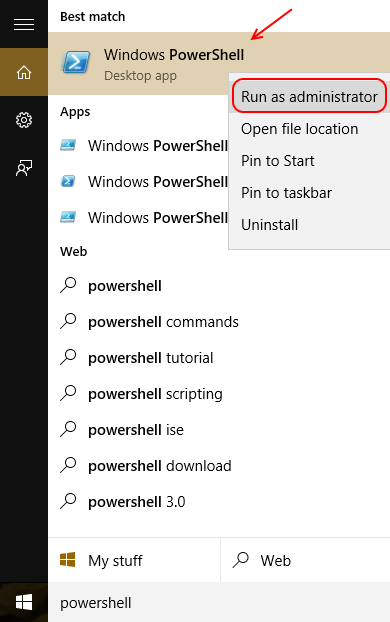 2- Click on the Search bar, and search for PowerShell. 3- Right click on PowerShell from the results and run it as Administrator. close the powershell and register the mail app again, once the command finishes running. Windows had comprehended and estimated the possibility of the amount of bugs that could be faced by their new operating system and especially their newly introduced native Apps. 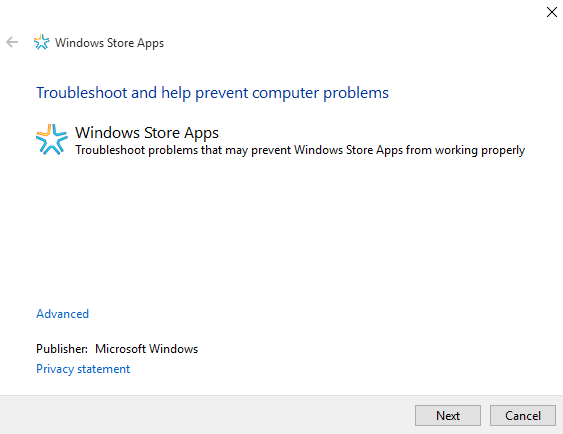 You can download the Windows store apps Troubleshooter from official Microsoft website. Once installed you can run the Troubleshooter and let it scan for known or possible problems and issues with the store Applications that you have installed on your Pc. If the troubleshooter finds an issue, you can use the troubleshooter to fix the issue. If there is no issue found you can always try the other two methods. Note: If you reinstall the mail app, all your credentials and emails and data stored will be deleted and will not be saved unless you personally back it up. 1. Search CMD in Windows 10 Taskbar Search. 2. Right Click on Command Prompt Icon and Run as Administrator. 3. Now, Run the Following Command Given below and Execute it to fix syncing Problem. 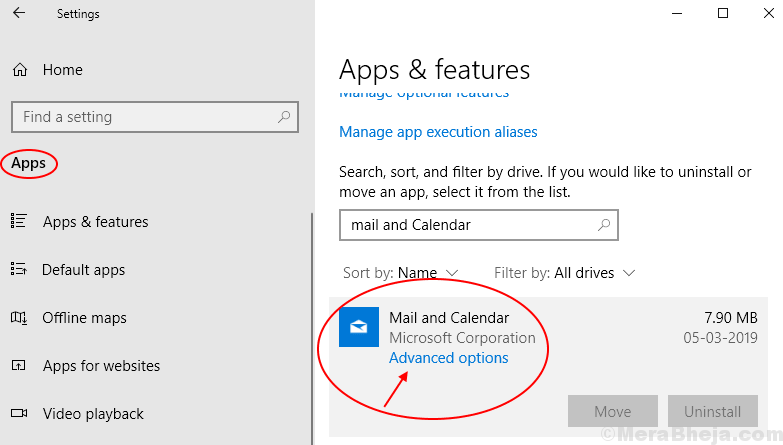 The Sync Problem will get Fixed in your Mail and Calendar App in Windows 10 PC.